Sukey Molloy connects with children through song, rhythm and movement. It is this connection that makes the Spanish audio on her new DVD an excellent way to introduce young children to the language. Sukey’s Circle! Vol. 3: Mini Shows is available to pre-order from Amazon now and will be shipped on the release date of July 30th. Sukey Molloy is a wonderful music and movement educator. She has won many awards including a Parents’ Choice 2012 Award, a 2011 & 2012 Preferred Choice Award and a 2010 & 2012 Mom’s Choice Award. You can learn more about Sukey on her website, Sukey Molloy. There are several features that make Sukey’s Circle! Vol. 3: Mini Shows especially effective for introducing young children to Spanish. These mini shows are each 2½ minutes long, an excellent length for children learning Spanish. The episodes are short enough for children to stay focused and interested, without being overwhelmed by the content and new language. Each of the episodes begins and ends with the same Spanish phrases. Also, within each episode, repetition of key words and movements helps children understand and participate. As each mini show begins, Sukey sings the introduction, Hola todos, qué bueno verles, and then calls out to her friends Tic Toc, Sunny, ¿dónde están? After giving the name of the episode she always says Prepárense. Aquí vamos. As each episode ends Sukey says Es hora de decir adiós. The consistency of this structure will have children chiming in on these very common phrases in no time at all. Although the episodes are short, each one has an internal pattern. This is wonderful for language learning because it lets children predict what will happen, greatly increasing comprehension. It also allows for the repetition of whole language structures. For example, in ¿Adónde va el río?, the song asks the same question with 5 different subjects: ¿Adónde va el río sinuoso así? ¿Adónde van los pájaros volando así? ¿Adónde van las nubes flotando así? ¿Adónde van las hojas dando vueltas así? ¿Adónde van los peces nadando así? This language is supported by images, and the repetition helps children learn and remember the structure. The language, movement and music in the video all have a deliberate, calm pace. This rhythm is very relaxing and gives children time to process what they hear and relate it to the images. These mini shows have a very specific focus and everything that is said and appears on the screen contributes to that idea. There are no unrelated images or sounds to distract children from what Sukey is saying. Me gusta mover mis pies de lado a lado. – I like to move my feet from side to side. Cruzo mis piernas. – I cross my legs. Me doy un fuerte abrazo en la silla y muevo los pies al mismo tiempo. – I hug myself in the chair and I move my feet at the same time. Punteo un pie. Punteo el otro pie. – I tap one foot. I tap the other foot. These mini shows stand alone, so they can be viewed in any order. Two episodes, Me pregunto todo tipo de cosas and ¿Adónde va el río? use the same felt board scene and vocabulary. You may want to watch those consecutively to reinforce the words. 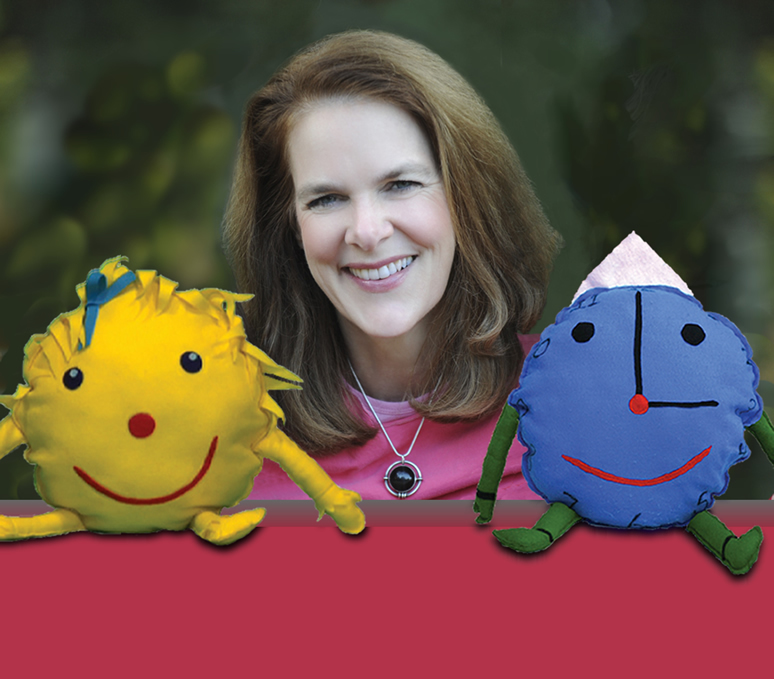 Children will have their own favorites, but all of these mini shows with Sukey Molloy will introduce children to the sound and structure of Spanish. Disclosure: The company sent me the DVD so that I could write this article. All of the ideas and opinions are my own.